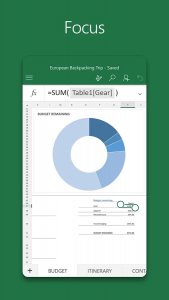 Intro: Create, view and edit spreadsheets with familiar looking Microsoft Excel app. Try rich format options and apply formulas to your spreadsheets. 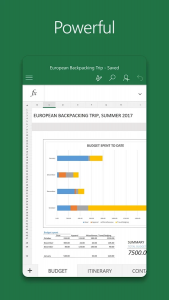 Make notes, highlight portions of your worksheet, create shapes, or write math equations using the Draw tab in Excel on devices with touch capabilities. 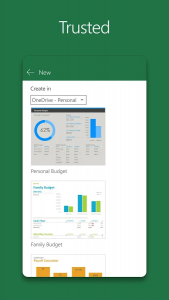 Excel app supports automatically saving your data and synchronizing it across all your devices with cloud technology. – We regularly release updates to the app, which include great new features, as well as improvements for speed and reliability.